With 800+ fill down sandwiched between two layers of PrimaLoft® Gold, your hands are sure to thank you on those cold, winter days. 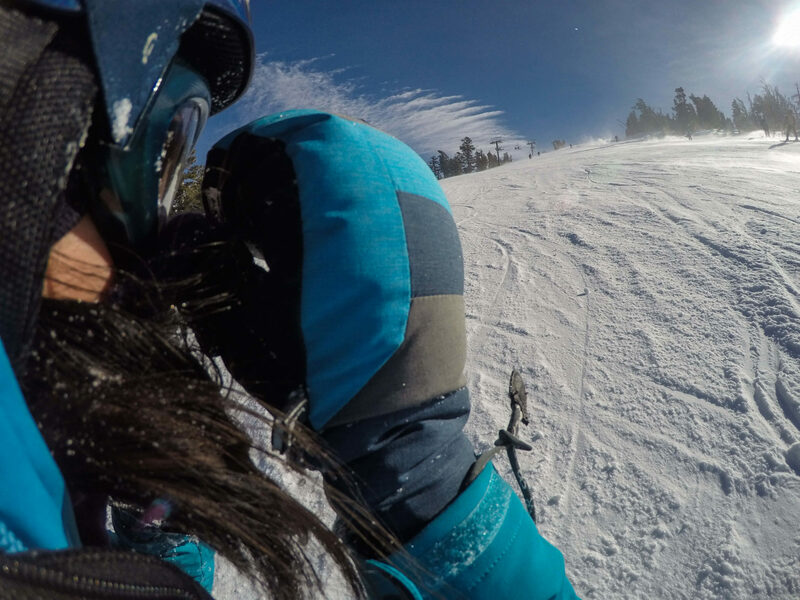 A water-resistant goat leather palm is super soft and scratch free for brushing snow off your face or goggles. 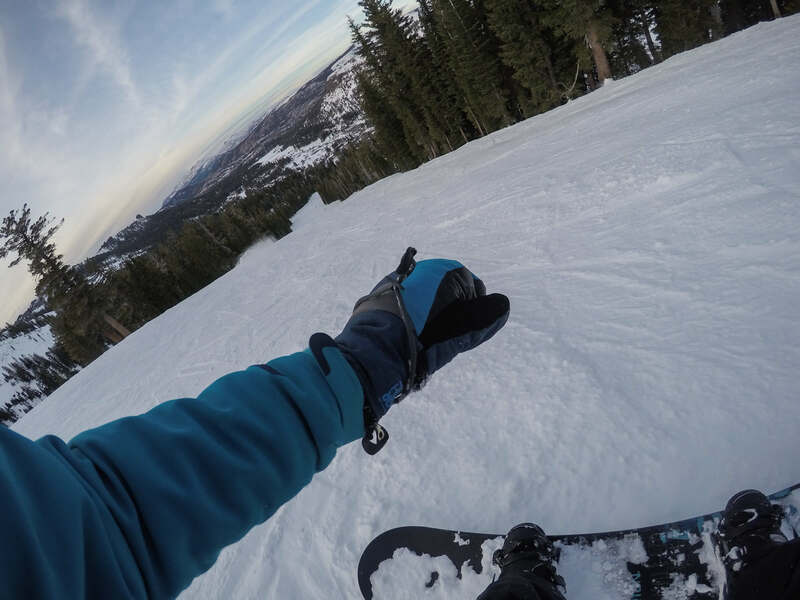 Hook and loop wrist closure means you won’t accidentally lose the Stormbound Mitts while selfie-ing on the lift. Pull tabs make putting these on a breeze when you can’t feel your fingers. The mitts keep my fingers super toasty warm in inclement weather. Cold hands warm up extra quick. Cold, wet hands warm up and dry off fast. Snow in your glove? That’s okay because that moisture will be wicked away, faster than you can ride the ski lift up the mountain. My only problem with the Stormbound Mitts is that the velcro gets iced over pretty fast.For people who are good at face planting in snow (like me), this makes tightening that wrist cuff a little more finicky. It’s not a complete deal breaker since I haven’t had much problems with it, but I do catch the velcro flapping around in the wind sometimes. Buy the Stormbound Mitts through Outdoor Research or Amazon for $99. Worn here with the Outdoor Research Valhalla Jacket and the Valhalla Pants. I know these have some grooves inside for the fingers and the liner is built in. Having said that, can you still wear a light or maybe even a medium liner inside for added warmth? I am thinking of doing such a combo for Aconcagua in a year or so.